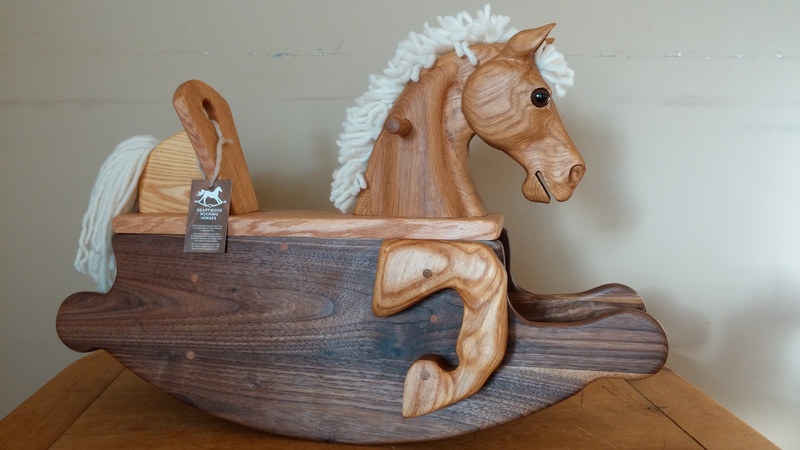 This darling horse is perfect for ages 1-3. 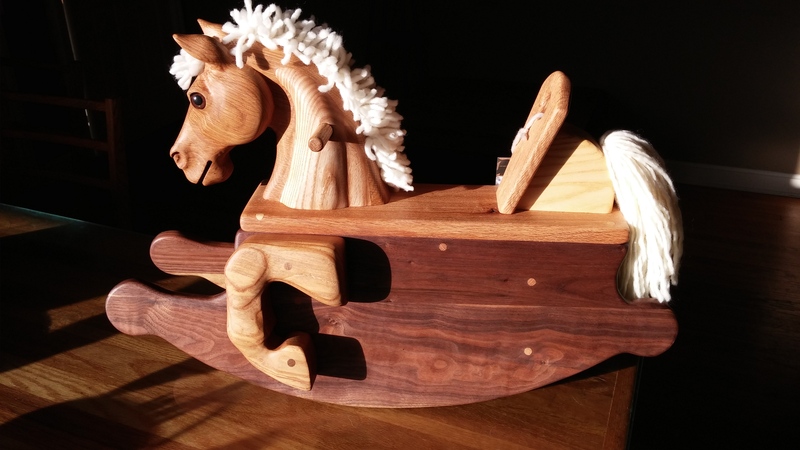 Carved from repurposed oak and solid walnut rockers, it will become a cherished family heirloom children will love for generations. Made with natural wool yarn mane and tail and glass eye. Finished with all natural non-toxic oil finish. Recommended for ages 1 (or crawling) though 3. Please supervise children during play.